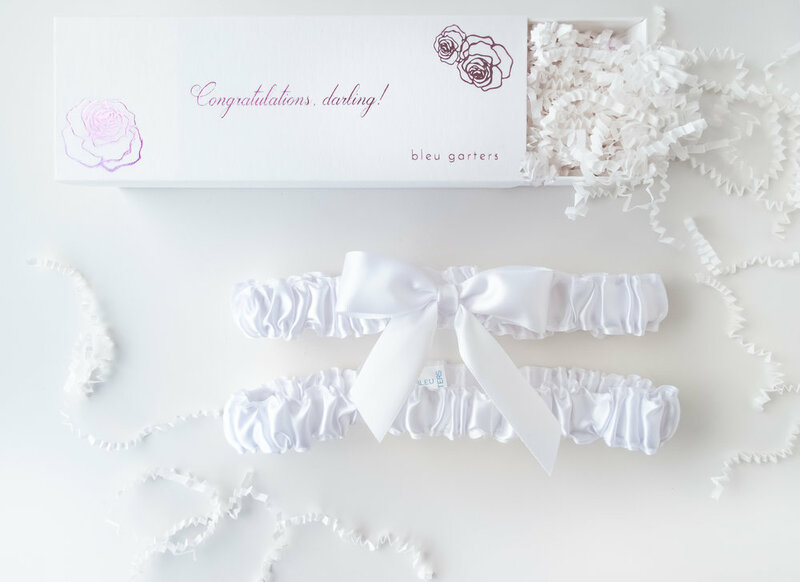 Bleu Garters wedding garters | The perfect bridal gift. For over 10 years, We've lovingly crafted soft, luxurious bridal garters made out of the most delicate fabrics. 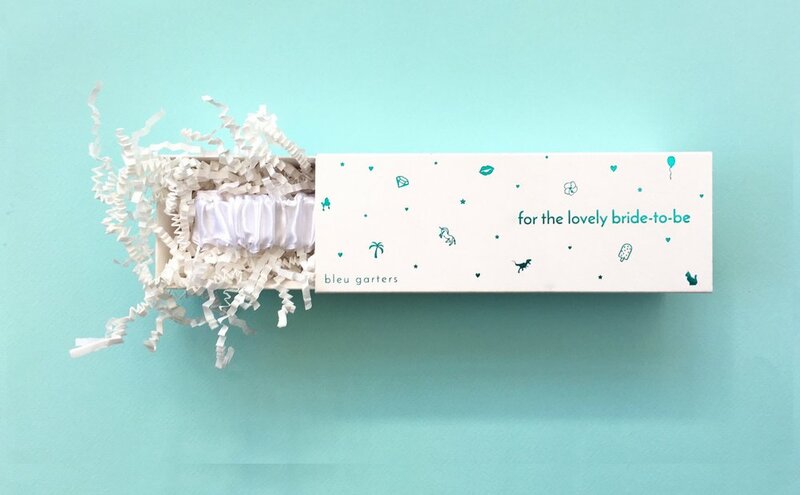 Choose your favorite garter+box combo, and we'll mail it to the bride-to-be. BTW You don’t have to toss it. Store it in your lingerie drawer as a keepsake to remind you of the day you and your boo revoked singledom. Our dainty and playful designs will charm your socks off. 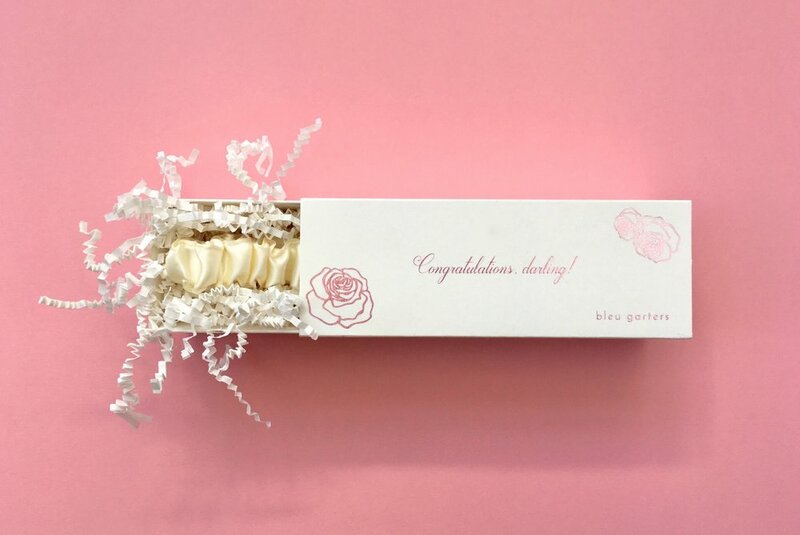 Classic, minimalist, perfect: the sweetcream garter set in the Rose box. 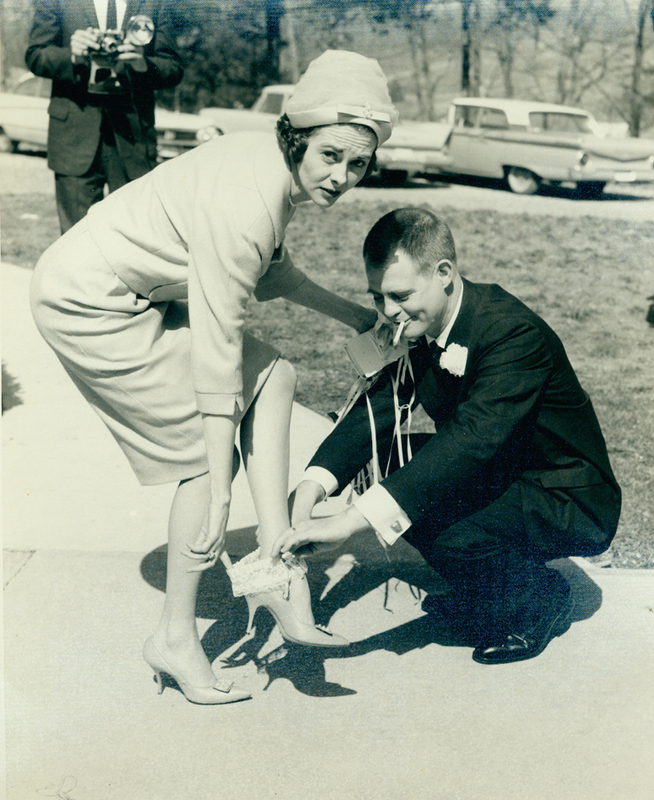 The bg blog: Sometimes we write about weddings to help you not go insane.